Death Bound is a Finalist for eFestival of Words Best Fantasy Book! We’re excited to announced that Death Bound is a finalist for BEST FANTAY BOOK in the 2017 eFestival of Words! Whoever nominated us, and to all the people who voted for us – thank you! 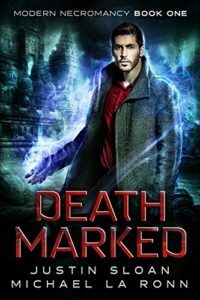 To show our appreciation, and for those of you out there curious, we’ve discounted book 1 to $0.99 (Death Marked – here’s US and UK links). And book 1 and 2 are in Audiobook format with Whispersynch! A man and a ghost team up to save the world. 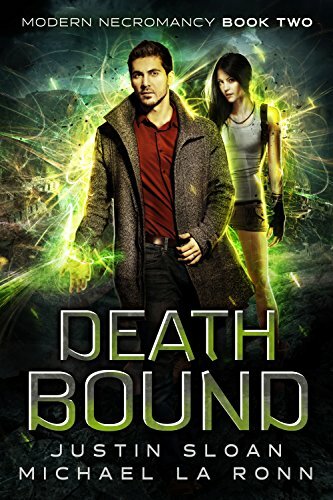 When Rohan finds that a betrayal and near-death experience leave him with mysterious powers, it’s up to him to stop a man with dark magic from opening a portal to the dead. His only help is in the form of a ghost who doesn’t remember who she is or why she’s there. Will this odd duo of the spiritual and magical realms be enough to save the world? The world has quite literally gone to hell. 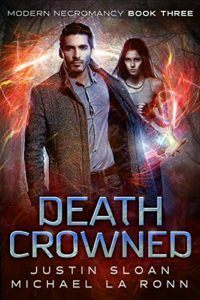 Rohan and Nora find themselves stranded and without transportation in a world where spirits and demons are wreaking havoc. The battle for the world’s survival depends on them. But along the way, they’ll discover others with powers that may be able to help in this spiritual warfare. Will they find a way to banish the demons, or in the end find themselves in their own eternal hell? Grab them all on Amazon!